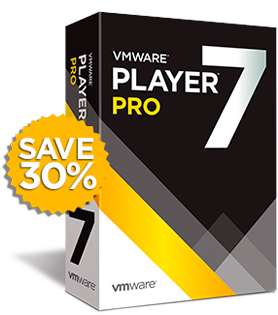 The Cyber Monday offers for VMware Fusion 7, VMware Fusion 7 Pro, VMware Workstation 11 and VMware Player 7 Pro ends December 5, 2014 at 11:59pm Pacific Time. For most folks, the free-for-non-corporate-use VMware Player 7 would be fine. See also VMware Workstation 10 is feature rich, but you might be fine with the free VMware Player 6 Plus, by Paul Braren on Sep 04 2013. Note that you'll see the free trial button below, and the free version is still available, basically you just enter a license key into the VMware Player user interface to enable the VMware Player Plus features. All the details at VMware's FAQ. VMware Player Pro enables you to quickly and easily create and run virtual machines. The VMware Player user interface is designed to be as easy to use as possible. It is intended for people who need to run virtual machines, typically provided to them by their IT organization, system administrator, instructor, software supplier etc. 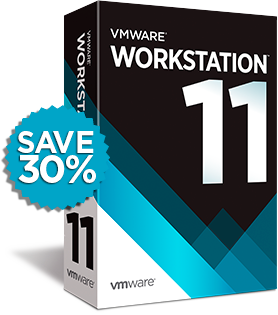 VMware Workstation is much more advanced and comes with powerful features including snapshots, cloning, remote connections to vSphere, sharing VMs, advanced Virtual Machines settings and much more. Workstation is designed to be used by technical professionals such as developers, quality assurance engineers, systems engineers, IT administrators, technical support representatives, trainers, etc. If you encounter any issues with the shopping buttons below, try VMware's Cyber Monday site, which includes links to VMware Fusion 7 and VMware Fusion 7 Pro (for Mac). See also more stories about my family Mac Mini (dual booting to OS X running Fusion, or booting into that same VM natively using Boot Camp). If you're a vExpert, its possible that you'll be offered a VMware Workstation 11 license key next year, see Corey Romero's response to my inquiry here. 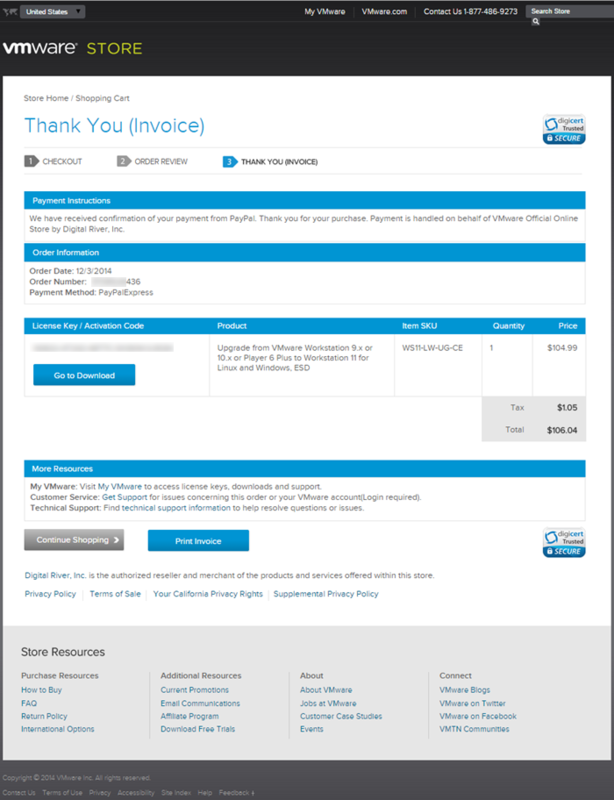 Below, you'll see my upgrade invoice, and interesting to note that the license key came up instantly, which I immediately applied to my running copy of VMware Workstation 11, through the Help, Register VMware Workstation menu.